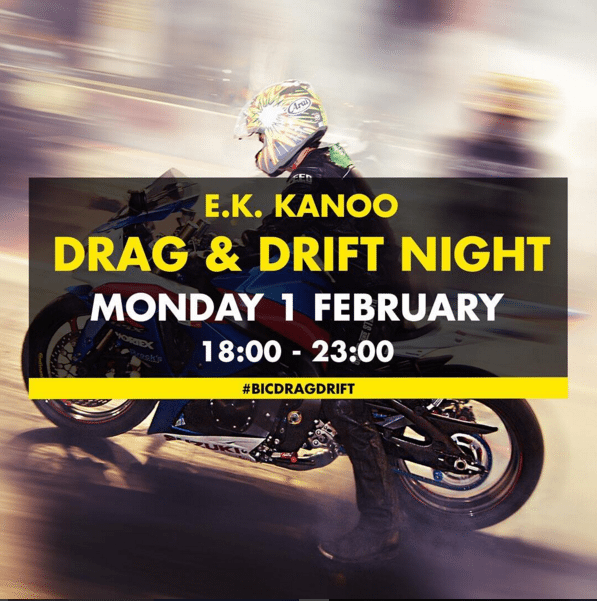 Roaring engines are set to warm up the cool temperatures at Bahrain International Circuit (BIC) Monday February 1 with the E K Kanoo Drag and Drift Night taking place in Sakhir. The widely popular double-header encourages drag racers and drifters of all skill levels to put their skills to the test in their very own cars or motorbikes. Sponsored by Ebrahim K Kanoo and powered by Motor City, the event attracts a large number of fans who turn up either to take part or watch others in action. Those who participate come in a wide array of top-of-the-line cars and bikes, offering a unique spectacle at “The Home of Motorsport in the Middle East”. The drag racing takes place down BIC’s world-class quarter-mile strip, which is one of the most advanced in the world and which is a member of the prestigious National Hot Rod Association (NHRA) Worldwide Network. For the drifting, a special course along BIC’s car park will host all the action. Both of Monday’s activities can be enjoyed for a single entry fee of BD10. Participation in just the drag racing or the drifting costs BD7. Registration can be done on site from 5pm, and the action will be held from 6pm to 11pm. Those who would like to experience the drag or drift as a passenger can get into a friend’s car for an additional BD4 for each event. All vehicles must go through mandatory safety checks before being allowed to take part. As part of the drag racing programme, BIC will also be offering the immensely popular Dragster Xperience. This is one of the circuit’s most unique and sought-after activities, as it gives participants a taste of pure adrenaline as they are taken from zero to 100kph in just one second while seated in a Top Dragster. The Dragster Xperience costs BD40 per person. Spectators can purchase tickets for BD2 apiece to watch all the evening’s action. To find out more about Ebrahim K Kanoo Drag and Drift Night, powered by Motor City, visit BIC’s official website, www.bahraingp.com, or call the BIC Hotline on +973-17-450000.